Avg. Group Discount of 8.7%! The Row Hotel in San Jose looks forward to providing you with a comfortable and stress-free stay here with us! 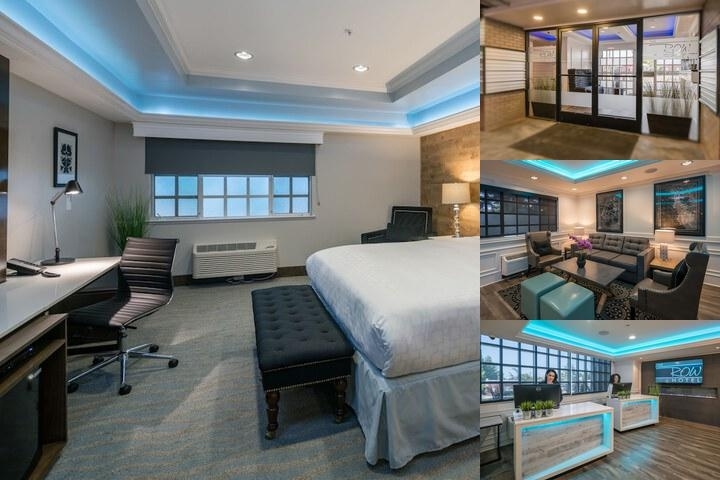 Enjoy one of our newly renovated rooms and is an ideal location for both leisure and business travelers. Less than a mile from Santana Row, Westfield Valley Fair Mall, and Winchester Mystery House, these local attractions are perfect for travelers. Enjoy a day of adventure, shopping, dining, and entertainment in San Jose, California! Just an hour from San Francisco, San Jose is one of the biggest tech hubs in the Bay Area. The Tech Museum of Innovation is centrally located in Silicon Valley; enjoy a day of exploring the kid-friendly museum full of galleries and exhibits! San Jose Sharks are the local team for hockey, and they play at the SAP Center, where several popular singers are always performing concerts.Enjoy our complimentary hot breakfast served daily along with coffee/tea provided in the common areas. A business center with fax and photocopy services are available with free high-speed Internet offered throughout the property. In addition, all rooms have a flat screen TV with premium channels, private bathrooms, microwave, and refrigerator. For those who are traveling for work, we have work desks with appropriate power outlets. You can also break a sweat in our fitness center. Express check-in and checkout along with a 24-Hour front desk clerk are available for your convenience. We have a multilingual staff with spoken languages of English, Spanish, and French. Free self-parking is provided on-site with no reservation required.We want you to have a comfortable stay, so we have premium bedding with blackout drapers/curtains. Irons and ironing boards are available upon request. Enjoy your stay at Row Hotel in San Jose! 10 Minutes from San Jose Mineta International Airport. One-way Taxi is $12-$15. Breakfast is complimentary for guests daily. WiFi is complimentary for guests. 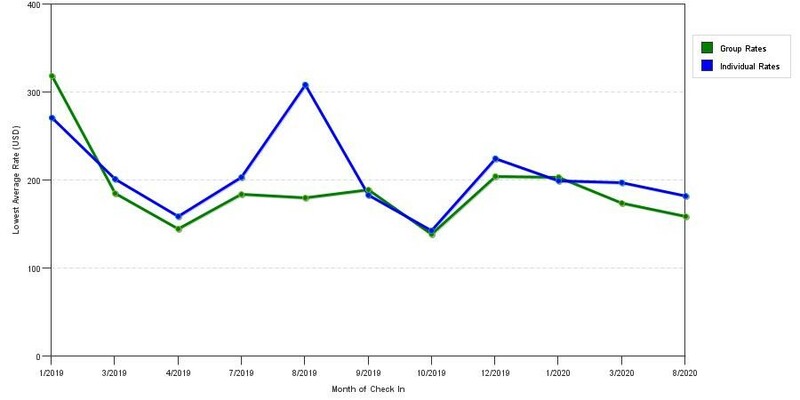 The graph above is seasonality of room rates for both our group quotes and the lowest online individual rates we could find at the time the group offer was entered. The best group deal shown is 12.6% in May 2019 and the highest average individual rate is $279 in the month of May 2019. This chart will show past seasonality and also project future months. If you are flexible with dates, you may want to consider staying at The Row Hotel in a month when rates are lower.